This Valentine gift guide is a gift from us to you! We hope it makes shopping for your loved one’s something you will love as much as you love them! Our wish for you this Valentine’s Day is that this Valentine Gift Guide will help you make someone special to you feel loved beyond words. Most of all, knowing that you thought of them and know what would make them smile makes a gift so meaningful. We gathered together some great gifts that we think your loved one’s will just love! And we’re posting this so that you have time to order your items and get them in time. We have fallen in love with this new shop here in Tallahassee! And the good news is, you don’t have to live here to enjoy the amazing things that they sell at this store. 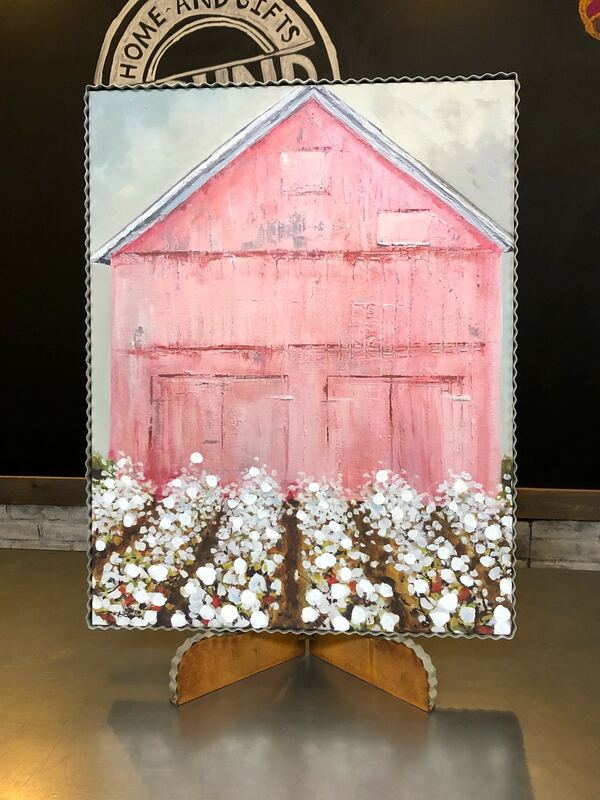 Jennifer sells and ships all items from her Facebook page and this Round Top Barn with Cotton piece is one that anyone who loves cotton must have! 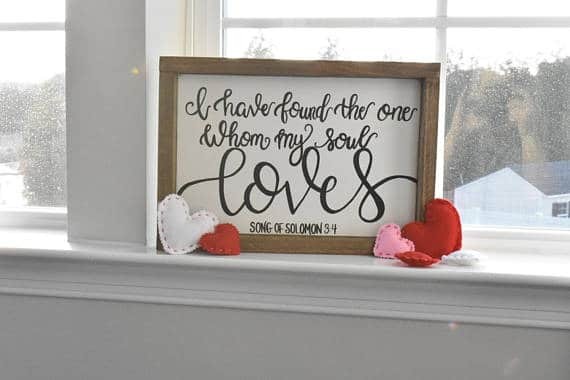 Displaying a gift received on Valentine’s Day year round is a great reminder that you’re loved. 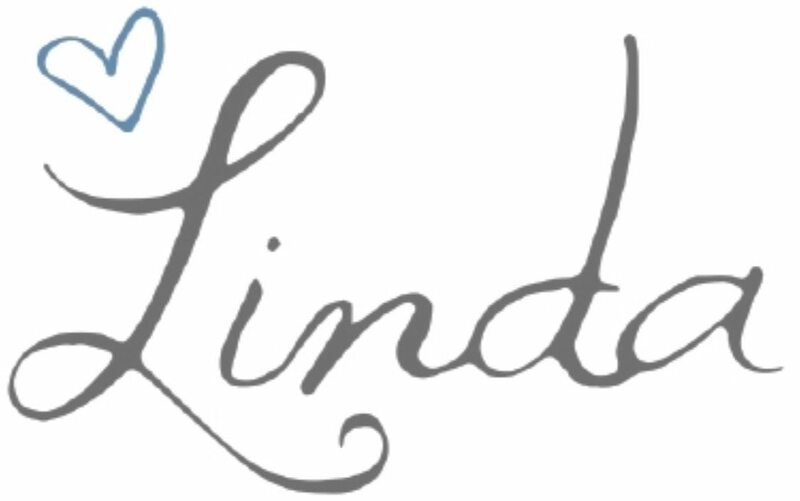 Check her goodies out on Facebook or if you’re ever in Tallahassee, this is a must stop shop! 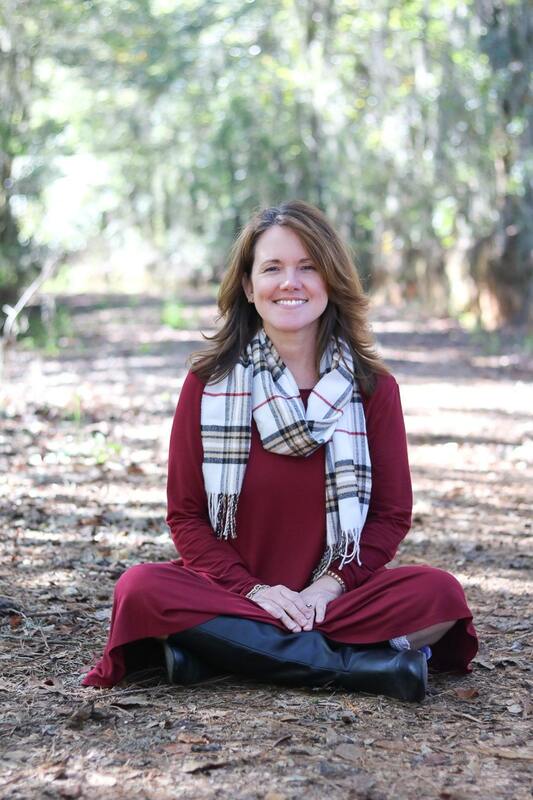 Erin is a proud military spouse and started sewing gifts for friends and family and so began an adventure. Monograms can be added to this gorgeous clutch and many other items for that extra personal touch! 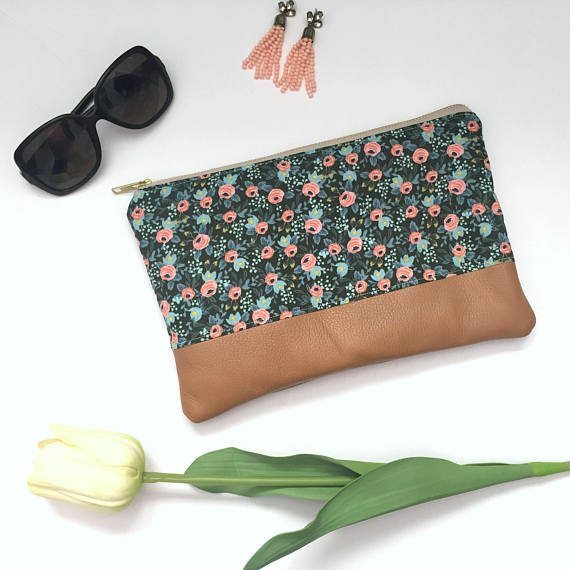 Erin also has a precious “Mommy and Me” line of makeup bags and scarves, so if you’re looking for your husband to get you and your sweet little diva something, this would be perfect! 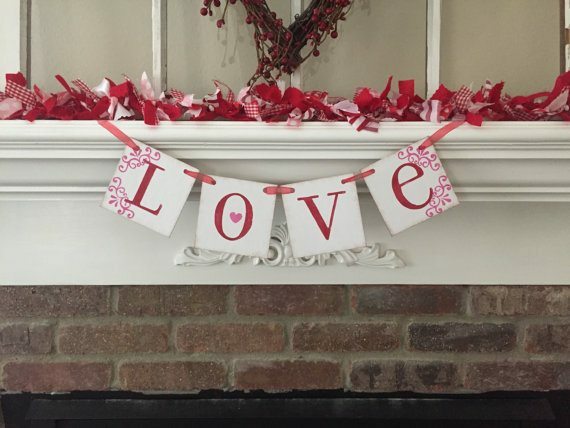 Love is in the air, and what better way to bring love into your home than display a Valentine’s Day banner! 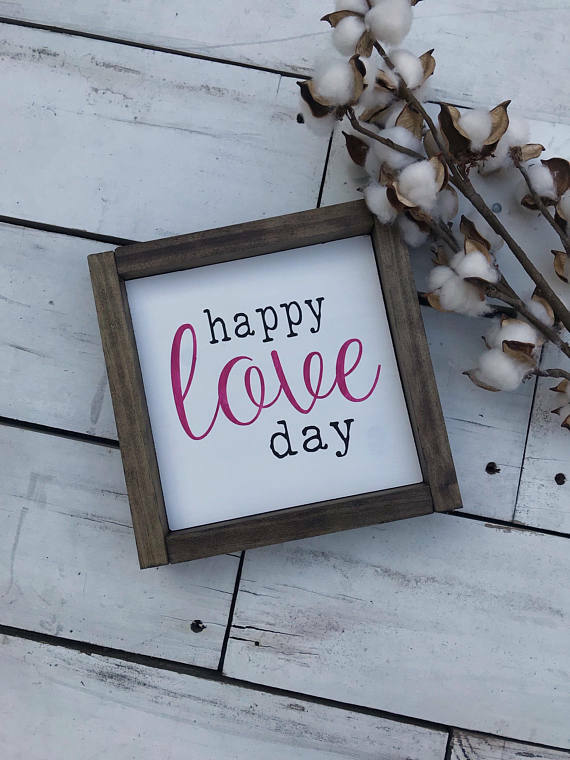 This LOVE banner and Happy Love Day sign are great gifts for Valentine’s Day. Even if you want to gift them to yourself so that your home has a festive look for this holiday for years to come! We feel like not all Valentine gifts have to be red and have hearts all over it. We love the idea of knowing the person you’re shopping for and getting them something they will love as much as you adore them! 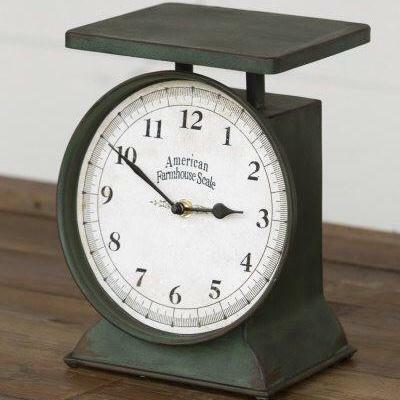 Does your loved one love the look of a vintage kitchen scales? How about this unique scale clock from Shady Oaks Farm. Wild Child Banners is a custom woodland banner shop that is based out of Arkansas. 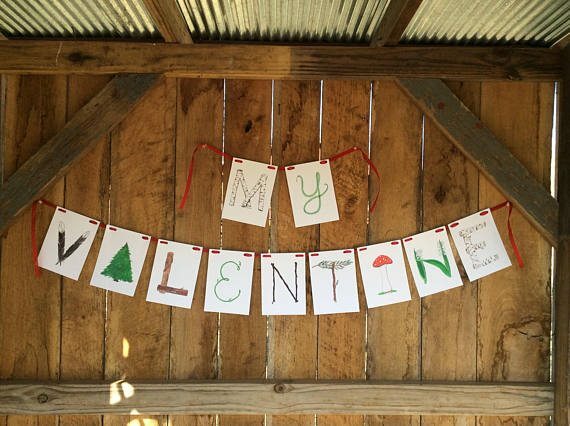 Janet sells banners that come as a phrase, like this “My Valentine” one or you can buy letters individually. Most noteworthy, each letter has been drawn and painted by Janet and she sells the prints so that you can enjoy them in your home! 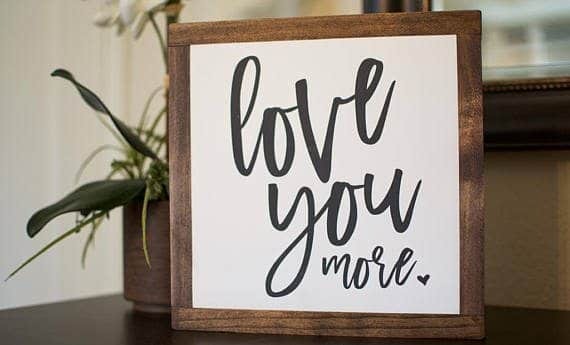 If your loved one is all about woodland decor or maybe has a cabin that you can imagine this over the fireplace, making them a personalized banner would be a sweet gift for Valentine’s Day. 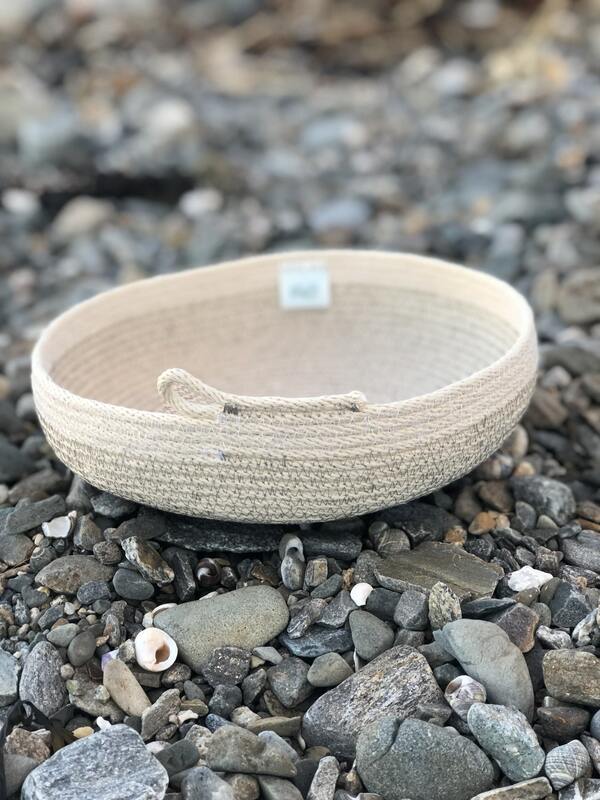 The mission at Sewcialite is to create unique and one of a kind items using natural materials just like this beautiful and modern rope bowl. Rope bowls can be used for many purposes including wall decor, fruit bowls, catch all bowl, shelf decor and more. Giving your loved one a handmade item for Valentine’s Day will say I love you for many years to come. 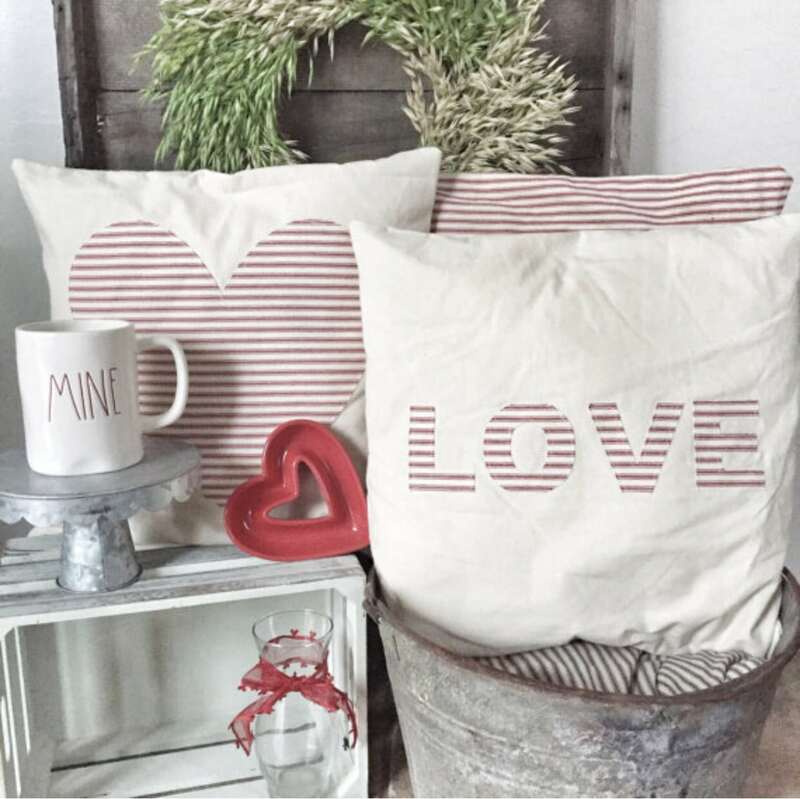 No doubt you will find something that speaks to your heart for your Valentine over at Addisons Joy Designs. Rebekah hand letters and hand crafts each sign. You can be guaranteed the love put into the making of each piece will be felt by the person receiving the gift. LeAnn designs and sews these beauties. If you or someone you know is looking to update the appearance of their pillows from season to season or holiday to holiday, this is a perfect set to start with. These stripes are a must in cottage/farmhouse decor. 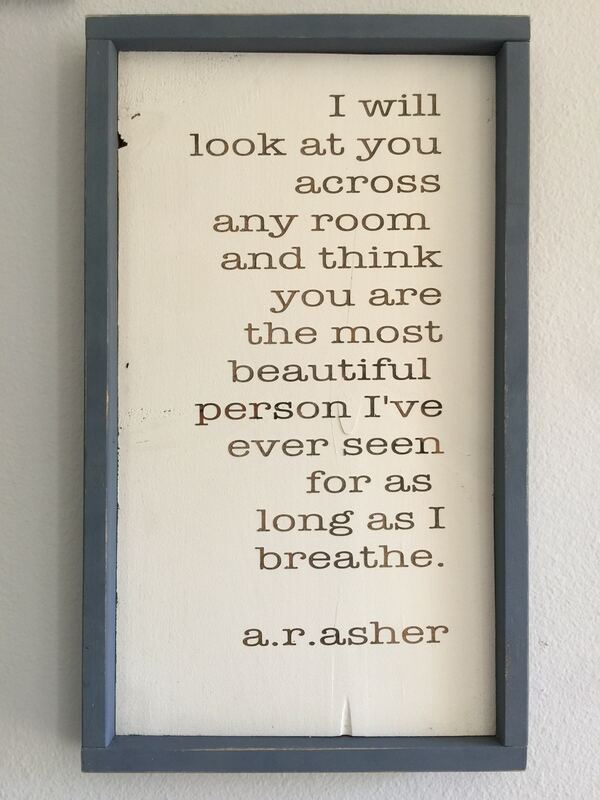 Our Valentine Gift Guide is full of thoughtful gifts, but when you read this quote from A. R. Asher, you will melt. It is such a romantic thought. This is a sure way to sweep someone off their feet this Valentine’s Day. Do you banter back and forth with someone trying to prove who loves who more? This will win the debate. Having this in writing to add to a gallery wall in a farmhouse is perfect proof! Confession time, when this package arrived, the aroma from the Creme Brulee & Spa Day soy candles caused an immediate desire to light these fragrant candles. The four items are LIMITED EDITIONS for Valentine’s Day! 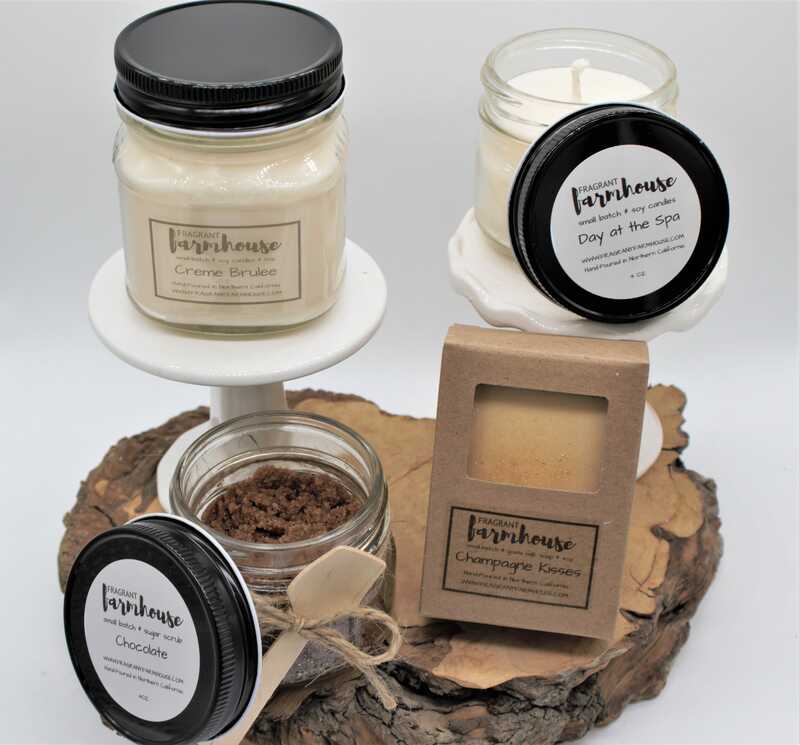 The Chocolate Sugar Scrub is great for your skin by removing dead skin cells and leaving your skin soft and smooth. The Champagne Kisses soap is made from goat milk and the gold shimmer in the soap is sure to make your bath sparkle. 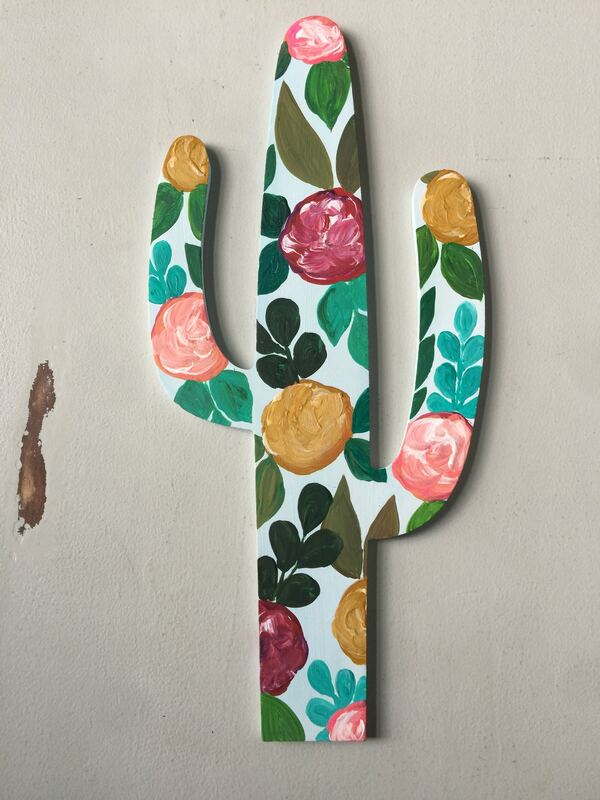 Cacti are part of a growing trend. Each painting you receive from Hello Henney is an original. There are no two paintings alike. Who wouldn’t love to wish their Valentine a great day with this cacti canvas set. And don’t forget to add a sweet note letting them know “I’m Stuck on You!” or “I’d Still Hug You Even if You Were A Cactus.” They will feel loved for sure. We hope you feel like we have given you many great gift ideas in this Valentine Gift Guide. Now, go get your loved one something special! We’d love to know what gift was too good for you not to give! Great ideas! My husband and I decided many years not to buy Valentine’s Day gifts. He does something around the house that I either hate to do or is really hard for me (I have RA) and I cook him the meal of his choice.